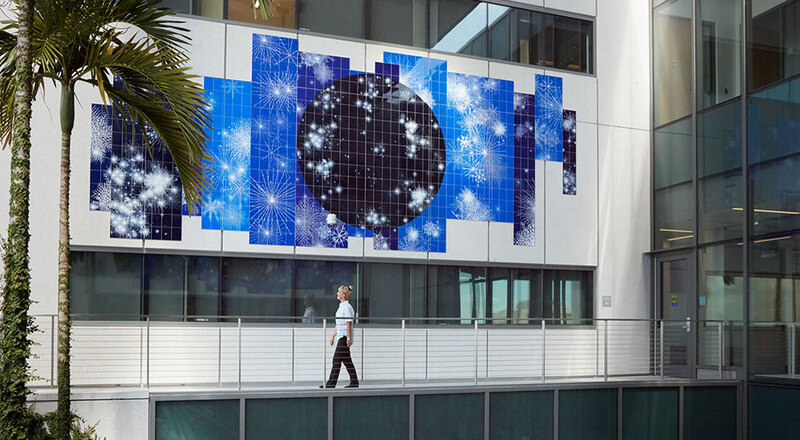 The Public Art program at USF focuses on site responsive works, typically resulting in the creation of places, as opposed to objects. Most projects have been developed for the interjacent spaces between buildings, with footprints that result in plazas, gardens and courtyards. These projects serve as informal gathering spaces for the various academic neighborhoods of our campuses. The main campus of the University of South Florida is comprised of 785 acres, located in Tampa, with smaller branch campuses in St. Petersburg and Sarasota-Manatee. Florida's Art in State Buildings Program was created legislatively in 1979; setting aside one half of one percent of any new state construction funds for the acquisition of artwork to be placed in and around our new facilities. 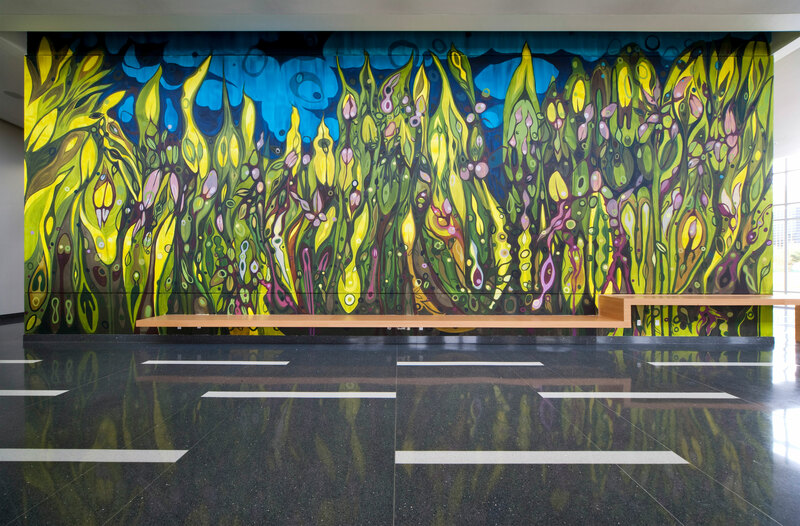 At the University of South Florida, this program has allowed us to work with many of the nation's most prominent public artists to develop projects which enhance the aesthetics of our campus, and enrich the cultural life of our students, faculty and staff. Major projects have been completed by such premier artists as Alice Aycock, Dale Eldred, Richard Fleischner, Doug Hollis, Nancy Holt, Tim Rollins and K.O.S., James Rosenquist, Ned Smyth, and Elyn Zimmerman. Complimenting our major projects, the USF Public Art program has offered opportunities to emerging artists from the State of Florida and beyond; oftentimes providing these artists with their first opportunity to work in the public realm. Significant projects by Richard Beckman, Maria Castagliola, Robert Calvo, Jack Casey, Harrison Covington, Gary Moore and Andy Yoder, among others, amplify our collection and provide the viewer the opportunity to experience a broad spectrum of contemporary public art. While project budgets are derived from one half of one percent of State construction funds, many of our major projects have been augmented with private funds, and with funds derived from line-items monies from construction, furniture and equipment, lighting and landscape. In kind services from faculty, students, and area corporations are another means by which we enhance our project budgets. 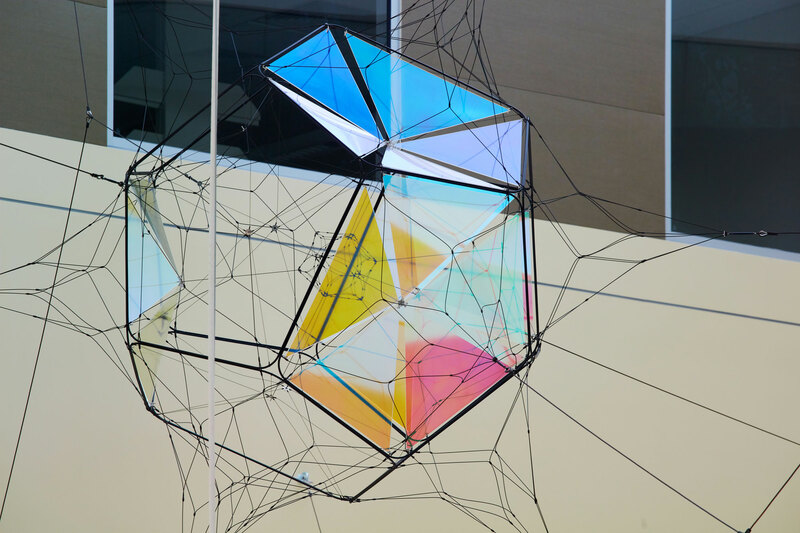 The USF Institute for Research in Art is recognized by the State of Florida as a major cultural institution and receives funding through the Florida Department of State, the Florida Arts Council and the Division of Cultural Affairs. Interior locations may be closed on University and State of Florida holidays. On Tampa campus parking permits are required 24 hours, 7 days a week. Available at USF main entrance on Fowler Avenue, or the museum lot. Branch campuses may also require permits. Guided tours are available upon request by calling (813) 974-3503 at least two weeks in advance of the desired tour date. here or by calling 813-974-4133. The electronic images available on this site are subject to copyright and may be covered by other restrictions as well. 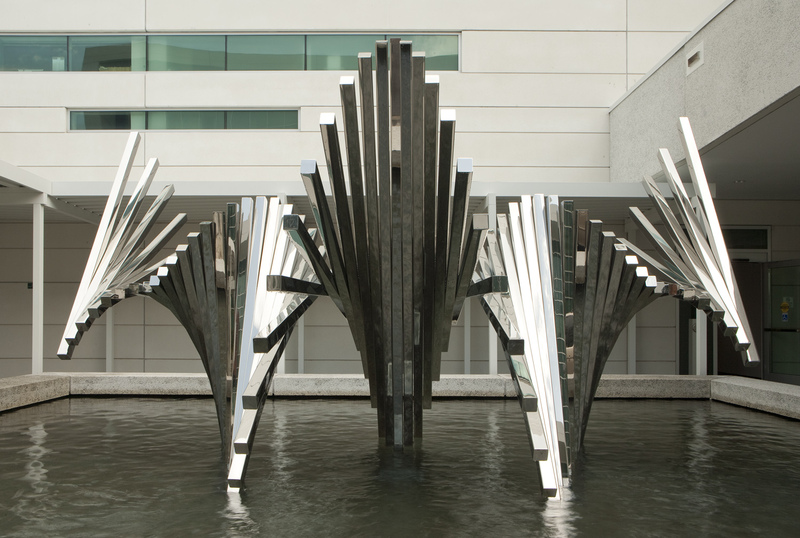 The images are made available to the general public as a representation of USF's Public Art collection. Copy or redistribution in any manner for commercial use is not permitted. Anyone wishing to use any of these images for commercial use, publication, or for any purpose other than personal fair use must first request and receive prior written permission from the University of South Florida Institute for Research in Art. Please call (813) 974-2203 for more information.